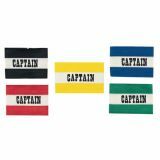 Make sure your team captain is visible on the field with the Champion Sports Adult Captain's Armband. This one-piece armband slips easily over you arm and shirt sleeve without inhibiting play. 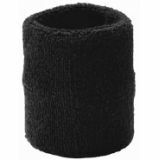 Make sure your team captain is visible on the field with the Champion Sports Youth Captain's Armband. This one-piece armband slips easily over your arm and shirt sleeve without inhibiting play.